The day started with an hour-long tour of the Capitol building. The tour guides explained the history of the building and its remodels. The tour started in the lower lobby where the residents were fascinated to learn there are burials in the Capitol’s outer walls. 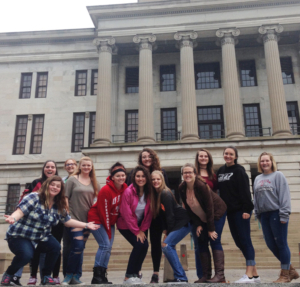 The Mercy group toured the room that was originally for the Tennessee Supreme Court. The guides explained how the building was modernized, but staff has been working to restore it to its original state by replicating light fixtures, carpet, and other original finishes. Some Tennessee historical figures were displayed in paintings on the walls. “I really loved getting to see the old buildings and seeing where famous people in history lived,” said a Mercy resident. The residents toured the upstairs of the Capitol as well, learning that many more windows and special architecture were intentionally placed upstairs for visiting guests to enjoy. The tour guides also explained that restrooms were added, and prior to the restrooms, they had outhouses far from the building. 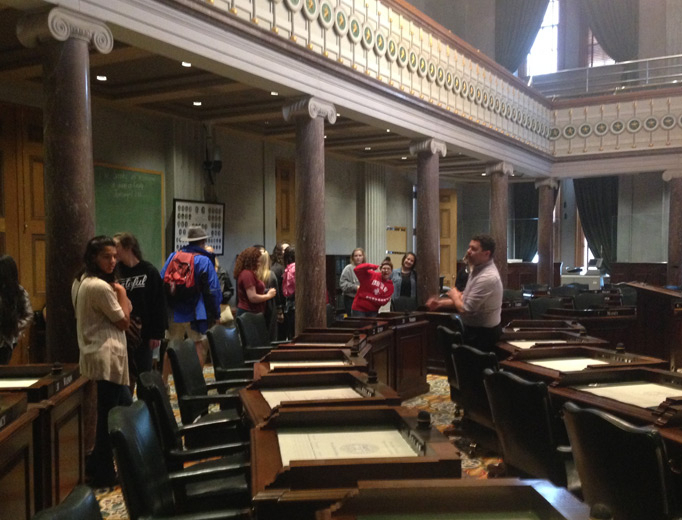 The residents explored the room where the House of Representatives meet. They learned what the representatives do, how they vote, when they are elected, and what they do when they are not in session. They experienced the same explanation in the Senate meeting room. 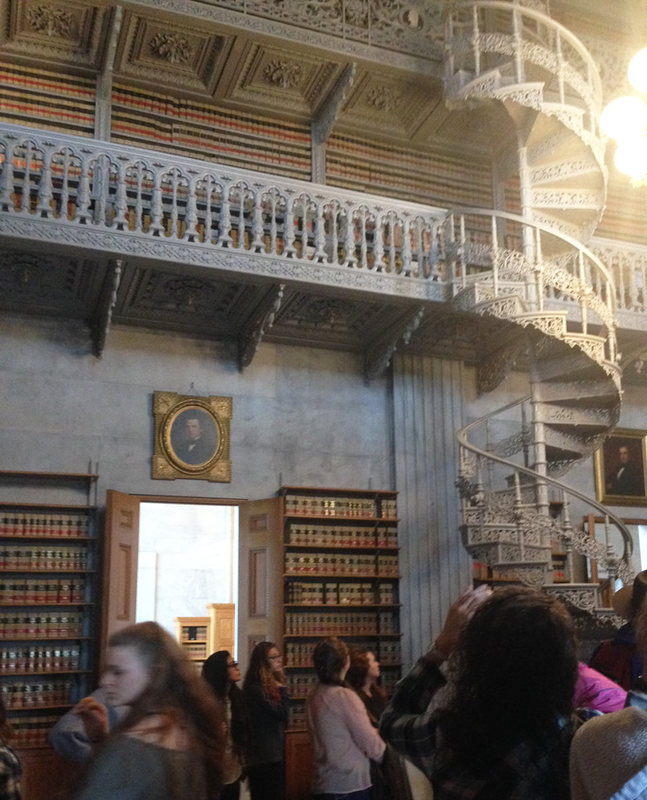 The last room the residents toured was a multipurpose room with a beautiful spiral staircase. 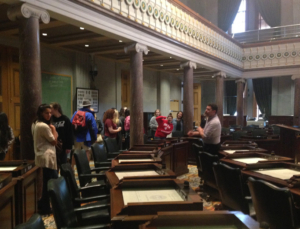 The room had thousands of books that detailed each session of the House and Senate since the Tennessee legislature was established. 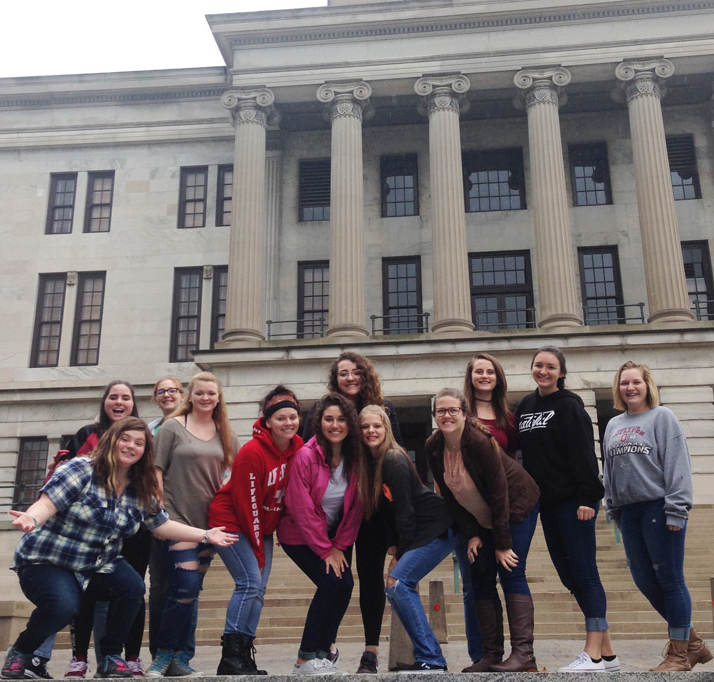 After the tour, the residents had lunch and headed to the Tennessee State Museum. “I enjoyed walking around the museum and seeing the different exhibits – especially the mummy!” said another Mercy resident. The residents enjoyed the day of exploring and interactive learning. As a part of its holistic approach, Mercy values opportunities like this to share informative excursions with the residents. Visit About Our Residential Program for more information.